Results from the latest survey of 450 international procurement executives from 29 countries. 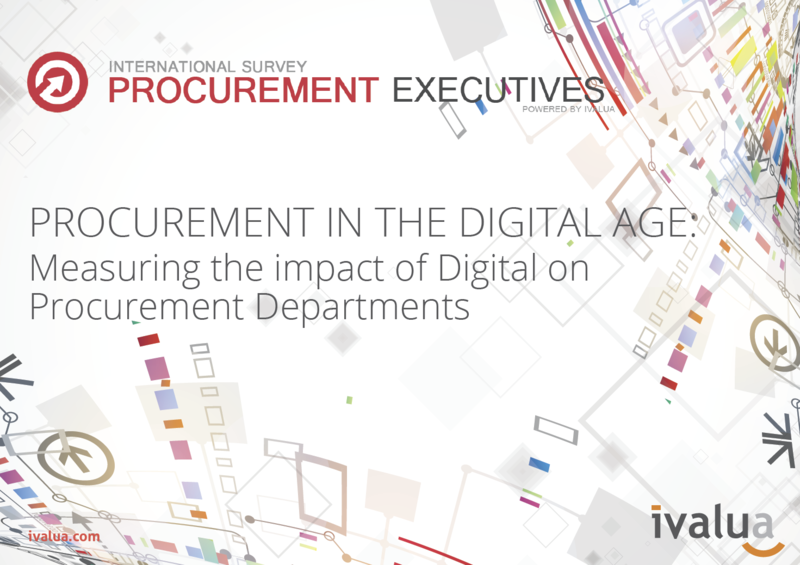 Ivalua recently announced the results of its third International Procurement Executives Survey. The survey is the latest edition of Ivalua’s market research into the priorities and challenges facing today’s procurement teams, and this year's effort focused on the impact that digital technologies are having on the procurement function. 450 Procurement Executives from 29 countries representing 321 companies were surveyed for this report. Executives who took part in the survey between May and August of this year were asked about the impact of digital technology, notably in terms of strategy and processes. Risks, gains and associated opportunities were also covered, as well as the evolution of intra-company and external relations, the development of new management methods and the integration of digital technologies. “The findings of the survey clearly demonstrate the importance of putting in place a digital strategy in procurement teams. This brings about many opportunities, particularly in terms of cost reduction, but also faster access to information, better spend analysis, flexible working time management and innovation,” commented Gérard Dahan, EMEA General Manager at Ivalua.